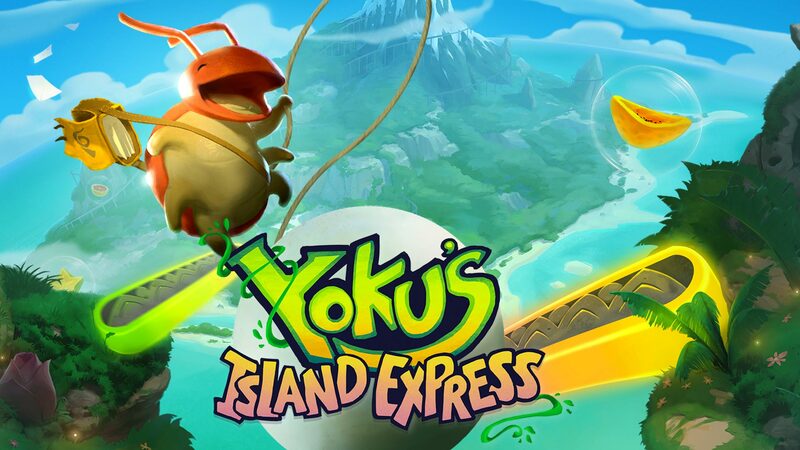 Yoku’s Island Express – New abilities revealed! As Yoku’s Island Express hurtles toward its Q2 2018 release date, we’re very pleased to be able to reveal a host of new abilities that will help Yoku on his mission to deliver the mail around Mokumana Island! Check out the brand new trailer to see these power-ups in action and read on to find out more! If you see any little purple slugs crawling around the walls and ceilings of then you can use the Slug Vacuum to capture one as Yoku whizzes around the play area. The little critters are actually highly explosive, so once you have one you can use them to smash your way through obstacles and break into the next area! This friendly fish can partially swallow but not entirely consume Yoku (it’s best not to think about it too much) effectively giving him a mermaid-like tail that enables our hero to swim underwater! Much of Mokumana is covered in water, with many secrets to find below the surface, so you’ll be thankful for the Dive Fish’s help! Mokumana Island is seriously large, so once you’ve explored a certain amount you’ll be able to fast travel in style, using the Beeline! If you’re a fan of a certain classic 16-bit platform series then we think you’ll really have a blast with this transport system! We’ve only shown a brief glimpse of this power-up in the new trailer but that’s not a reflection of our excitement levels for it! We really think you’re going to have a lot of fun with this one, as you latch onto grapple points around the island, swing around them and then let go to send Yoku hurtling through the air! We haven’t revealed every single ability here, as we want to hold some surprises back for the finished game, so make sure you discover them for yourself when you play later in the year! Yoku’s Island Express is heading to Steam, Nintendo Switch, PlayStation 4 and Xbox One in Q2 2018! For further announcements make sure to like the game on Facebook, follow on Twitter or add to your wishlist on Steam! Team17 is going to PAX East! The Escapists 2 – Prison Design Contest!